The WOW! 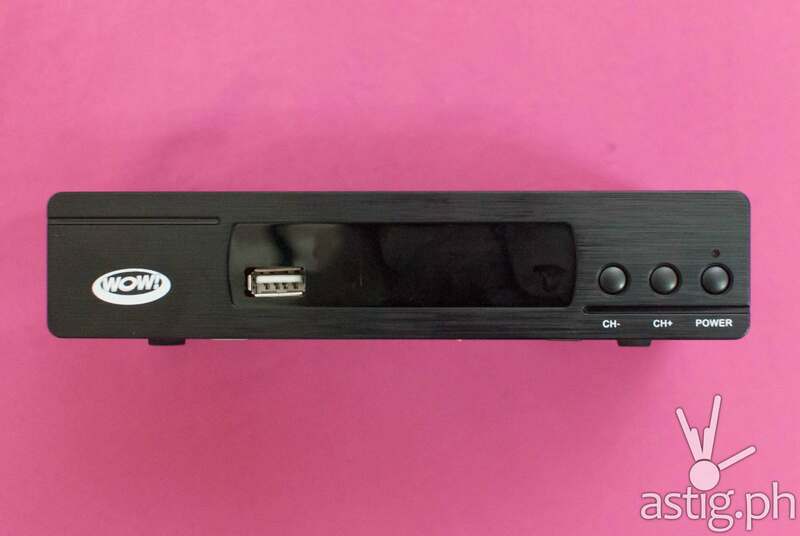 Digital TV Box is an ISDB-T receiver brought to us by the makers of WOW! Fiesta and Grand Videoke. Released in 2016, the first model came packaged in an all-black box. 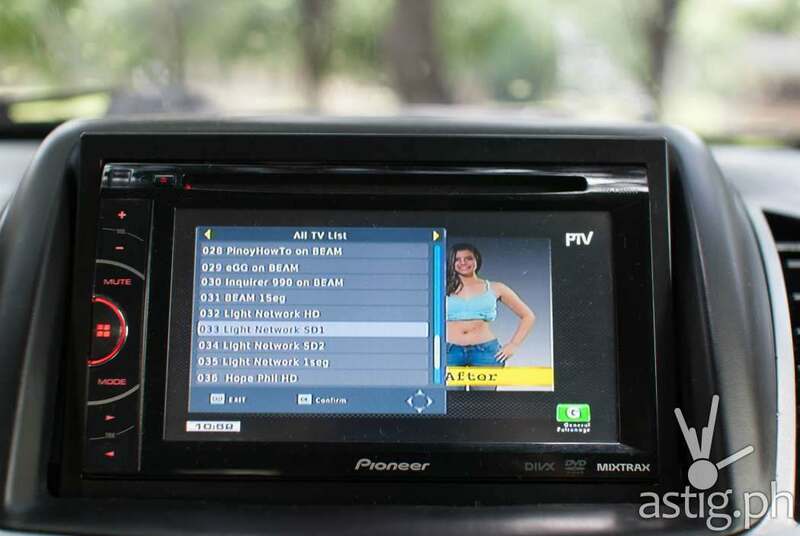 Since then, they released a new model with an entirely new, all-red packaging – perhaps in an effort to distinguish itself from the ABS-CBN TVPlus!, also known as the “mahiwagang black box”. 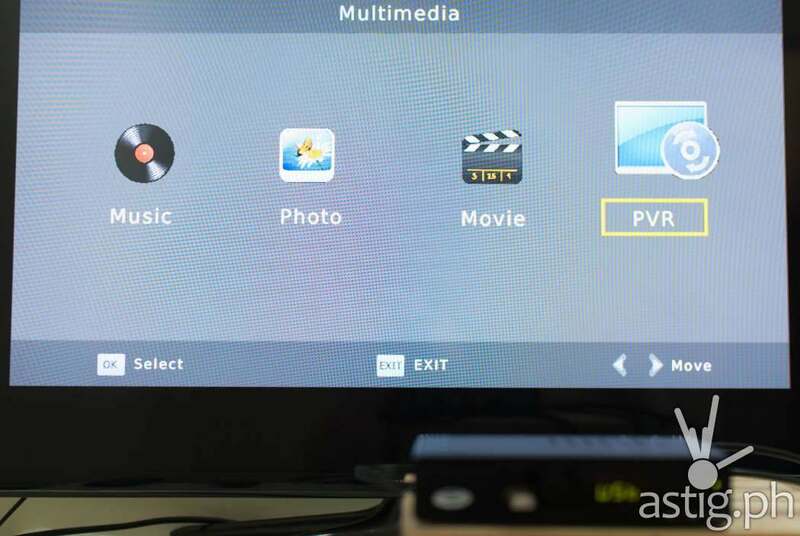 First, the TV Box basics: WOW! is capable of receiving and tuning into ISDB-T broadcasts. 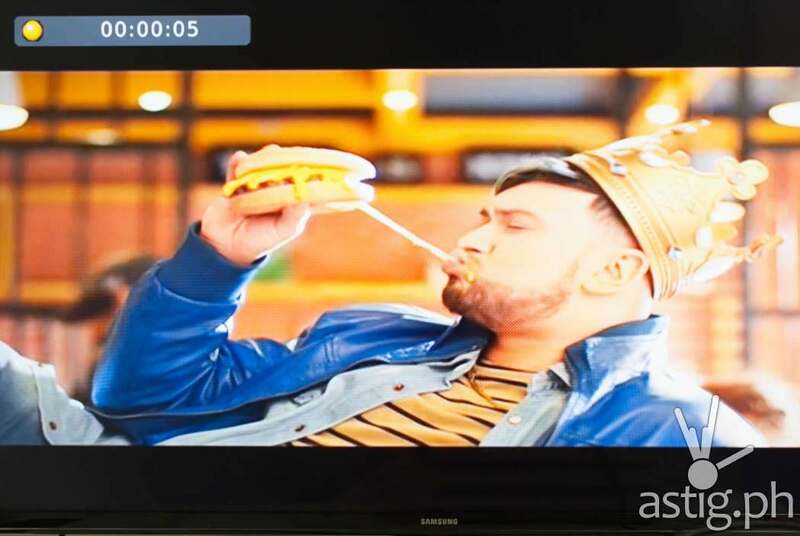 ISDB-T is the new standard for free-to-air digital television set by the National Telecommunications Commission (NTC) in the Philippines. Signal strength and quality are mainly dependent on location. The WOW! 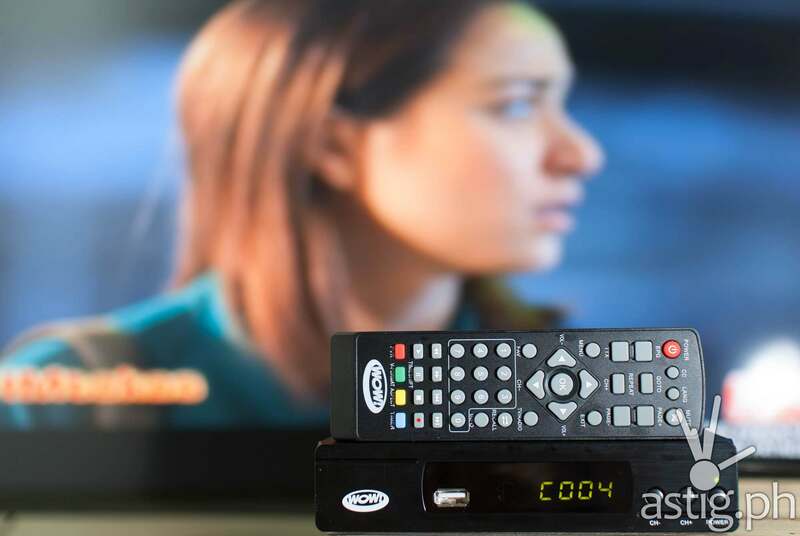 TV Box comes with a detachable indoor antenna connected to a 5-meter coaxial cable. It can easily be placed near or outside a window for better reception. 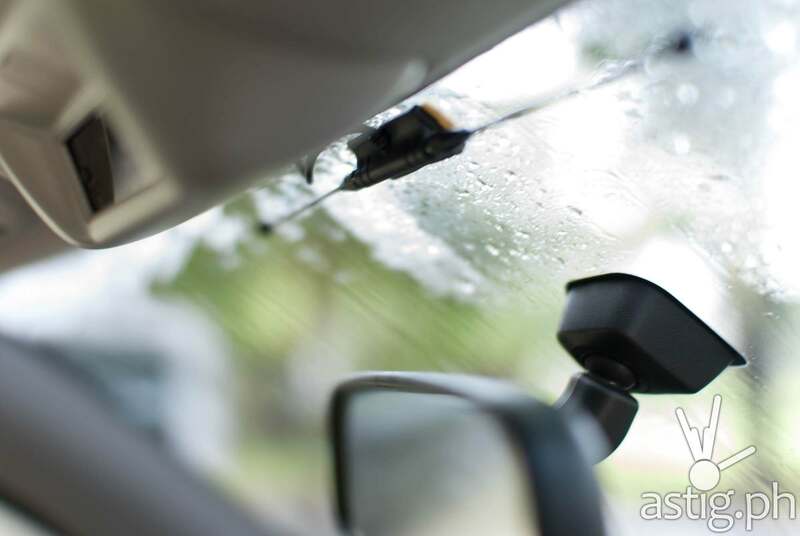 The base of the antenna is magnetic, making it easy to latch onto metallic surfaces like the edge of a window or a metal pipe. As said earlier, the antenna is meant to be used indoors. It is not weather-proof, so best keep it under a shaded area to protect it from the elements. 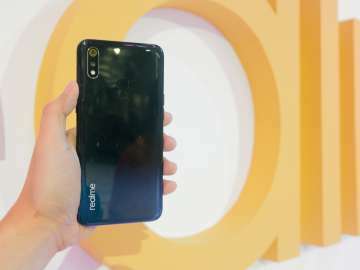 The device itself looks like a regular set top box. A single LED panel at the front will display the time if the device is in sleep mode. It will show the current channel while it’s running. 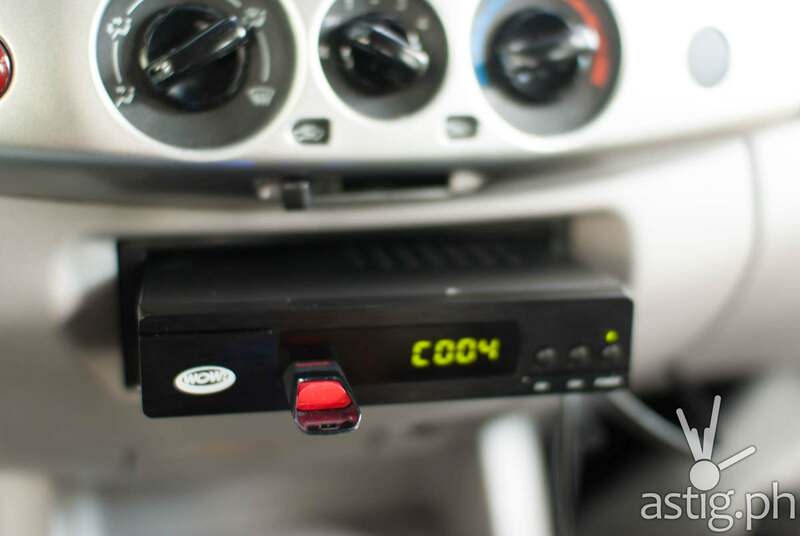 Beside the LED panel you will find a USB port for multimedia playback and recording (more on this later). Completing the front panel are three physical buttons to change channels and power the unit. The back panel is where things get interesting. Aside from the RF In port, you also get a secondary RF Loop Through that you can use to feed the RF signal to another decoder. Essentially, you end up with multiple set-top boxes connected to a single aerial signal. You may want to do this if you have a second television located somewhere deep in your house, like in a room with no signal. 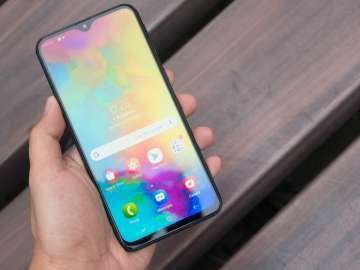 You can connect that to your primary set top box located in an area with a strong signal like in the living room. It is nice to see RCA support – I’m sure there are still people out there who are still using CRT TV sets. For the rest of us, HDMI is the way to go. 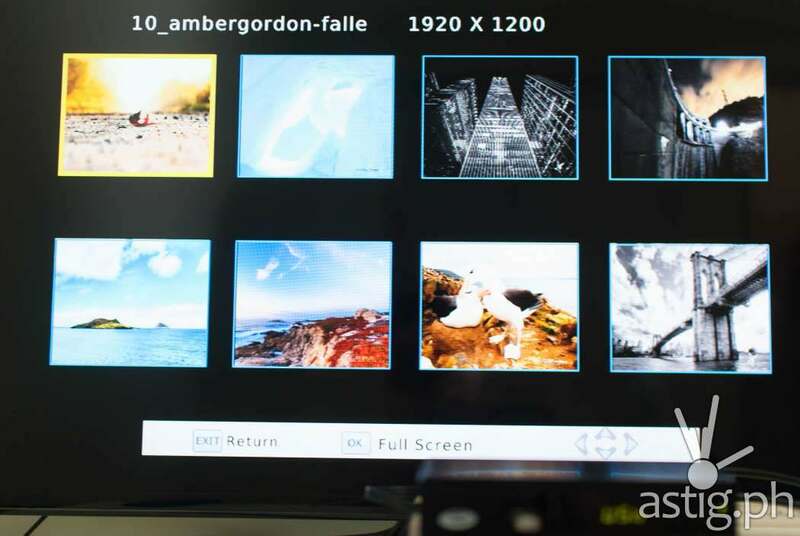 HDMI is the only way you can get 1080p display at 60Hz refresh rate. Almost all ISDB-T channels are currently being transmitted in standard definition though, which are then upscaled to HD. 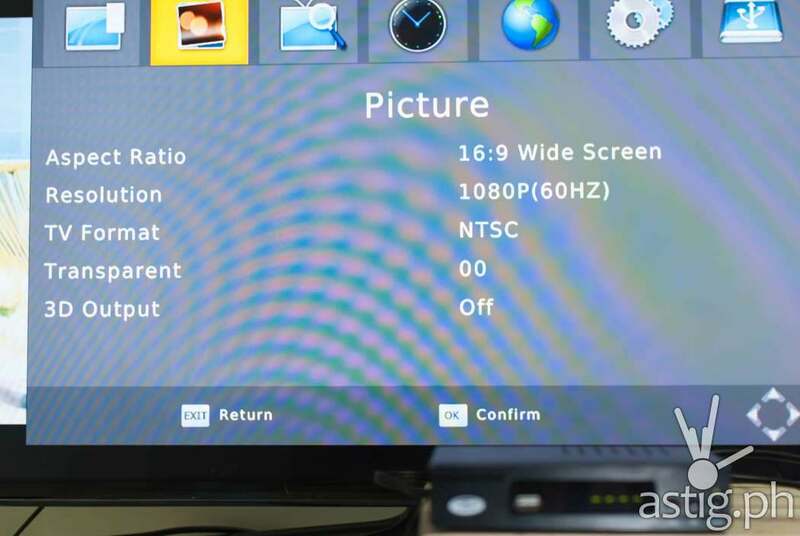 By the way, you can set the picture resolution and refresh rate under system settings. 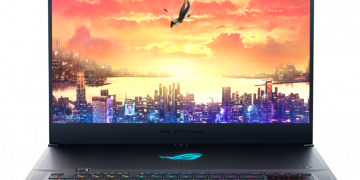 Options include 480i, 480p, 720i, 720p, 1080i, and 1080p. The WOW! TV Box runs on 12-volt DC power. This makes it ideal for installation in cars, vans, and buses. Heck, you can even put one inside a tricycle if that’s your thing. We had it installed on a pickup and it worked perfectly. 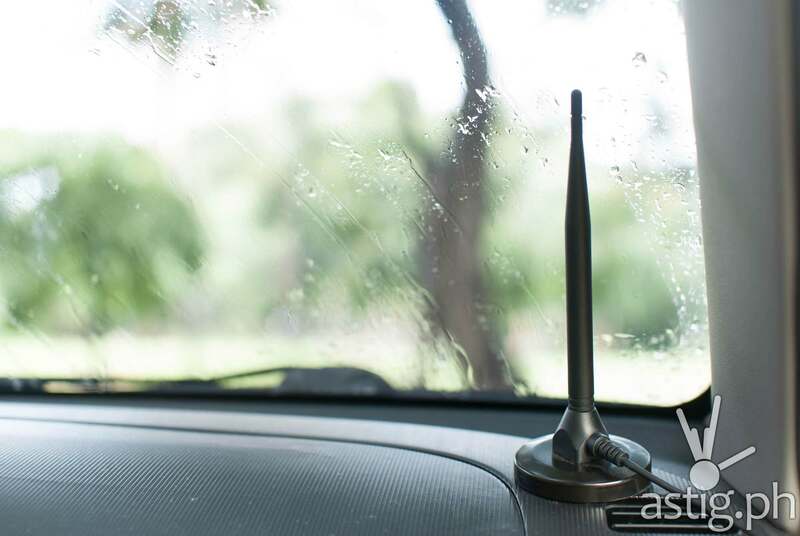 The signal was strong, even when we switched to a smaller, indoor car antenna. 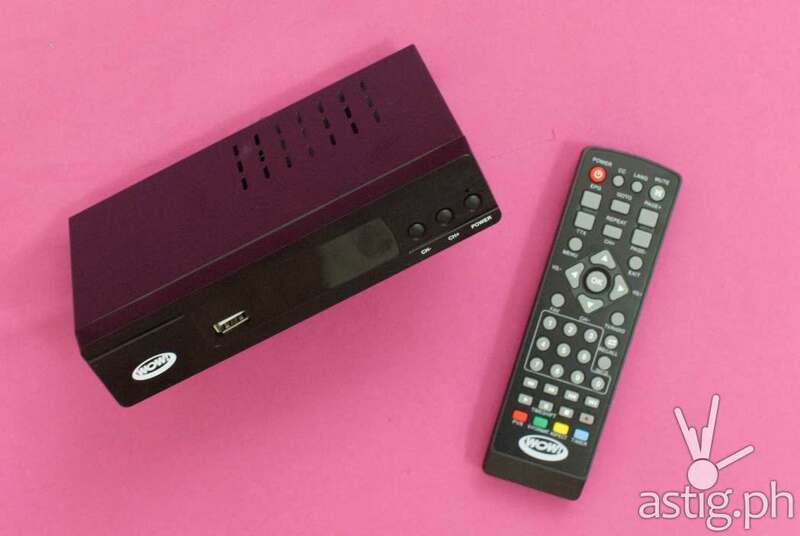 Negative reviews of the WOW TV Box are usually complaints from customers who are unable to tune into certain stations. 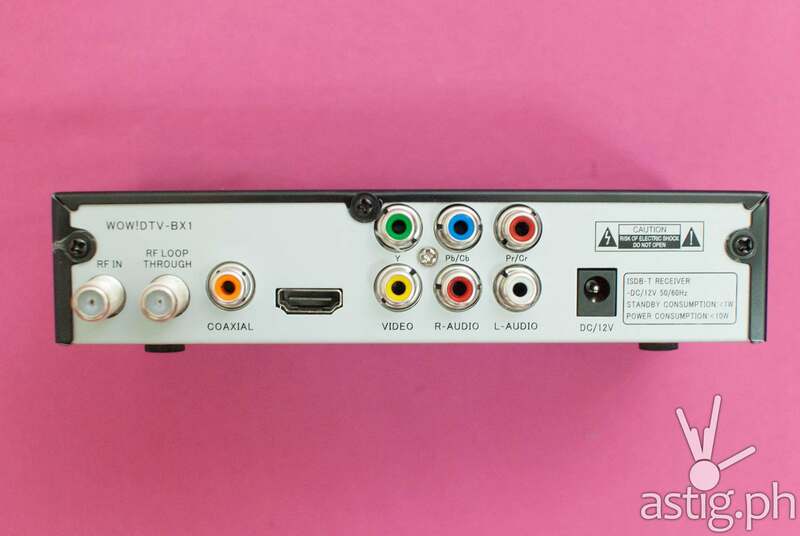 Before buying a TV Box, make sure to check all available channels in your area. Wikipedia has a list of available stations and the corresponding region, so that’s a good place to start. 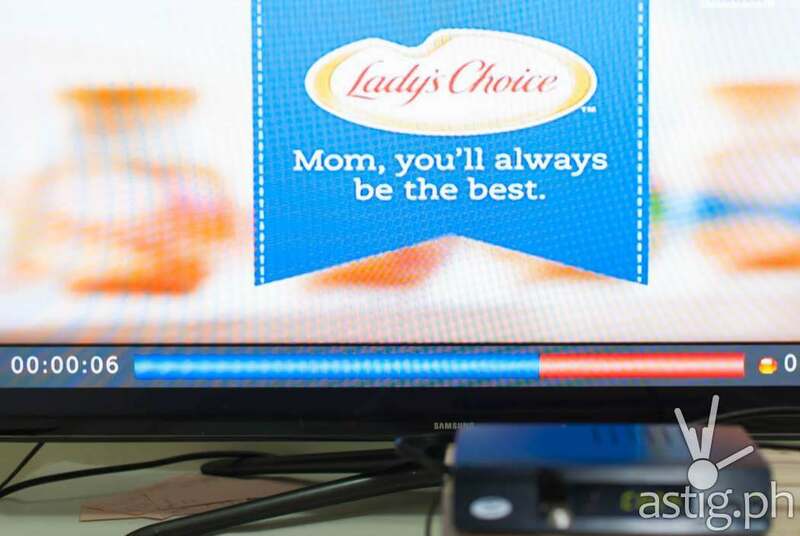 ABS-CBN is currently the most reliable digital free TV broadcaster. 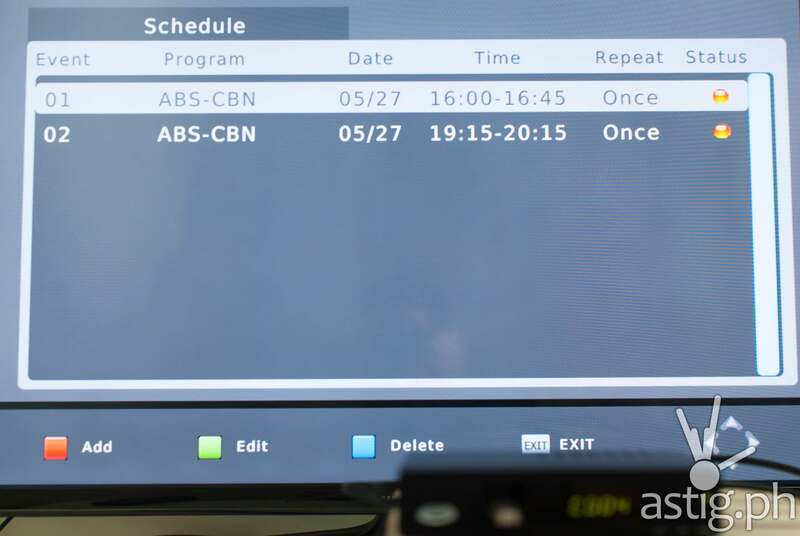 At the very least you should be able to tune into ABS-CBN and ABS-CBN Sports+Action wherever you are in the Philippines. 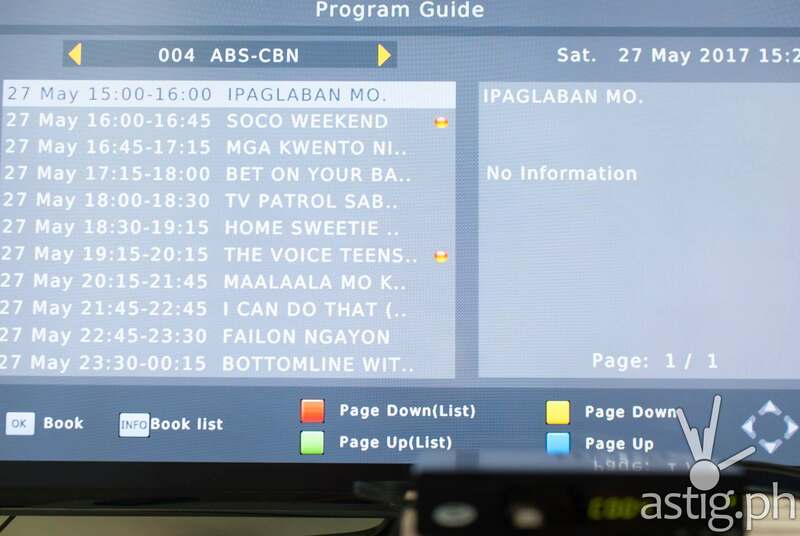 We tried scanning from the 19th floor of a building in Mandaluyong and managed to lock into 21 channels. 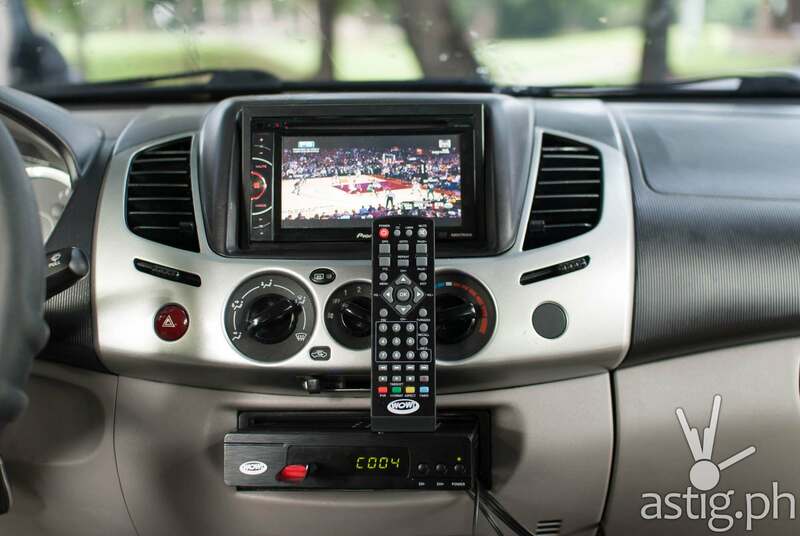 On the contrary, we were able to acquire more than 40 channels on our car installation. This disparity demonstrates the importance of location when locking into weaker signals. 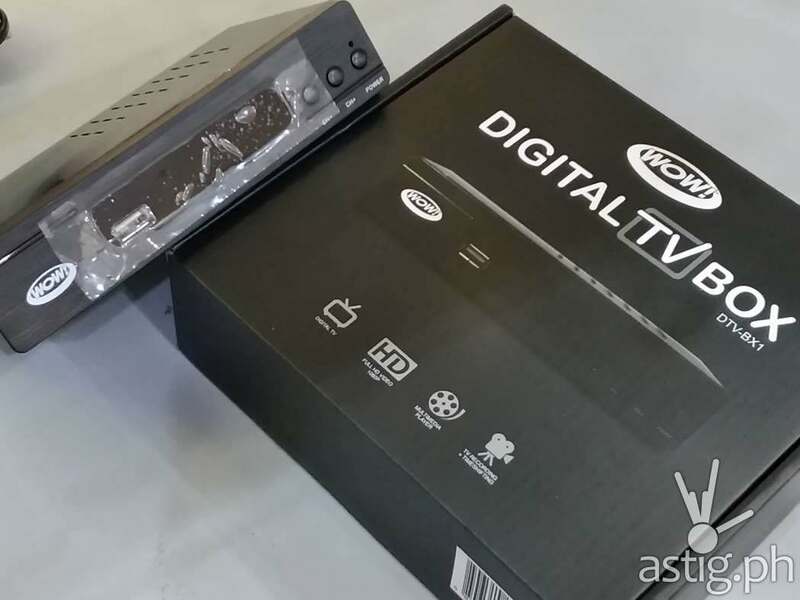 Overall, reception is average compared to other digital TV Boxes. We had to move the antenna a bit further out to get more stations. It took minimal effort to find a good spot with a stable signal. Note that the antenna on the second generation model (red box) is thicker and bigger than the first-gen (black box) version. We do not have access to a first-gen antenna to make a fair comparison. Thicker and bigger antennas usually yield better reception, but take this recommendation with a grain of salt. WOW! TV Box is snappy, and that’s one of the things we really like about it. The on-screen interface is user-friendly and very easy to use. We managed to get everything up and running in less than 2 minutes without reading the manual. Because seriously, who reads manuals? 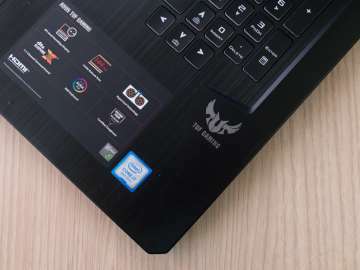 It runs its own custom firmware and it is capable of playing most audio and video formats. We were able to play downloaded movies in MP4 format. It also correctly identified anime with dual subtitles and dual audio (English and Japanese), and we were able to switch between the two languages with ease. You can also select multiple images and play them in a slideshow, which is cool. If you want to play an entire directory, make sure you only have image files and nothing else. The most ASTIG feature of the WOW! 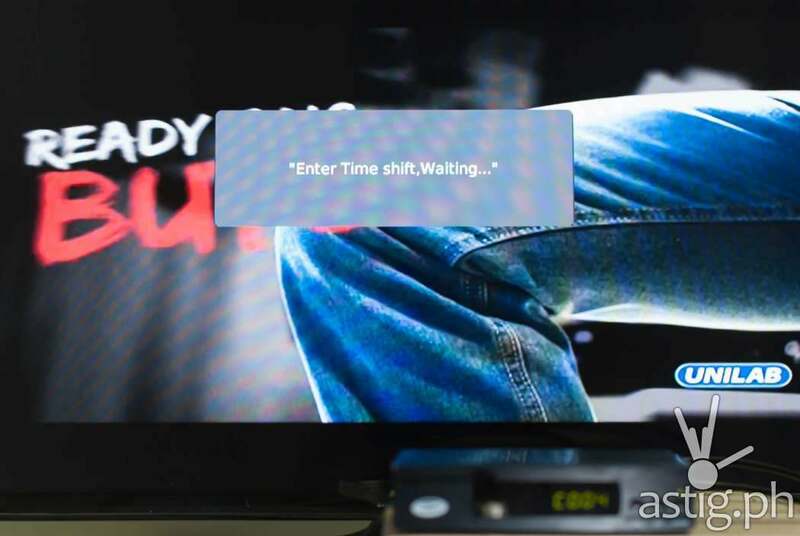 TVBox is its ability to record shows, which you can do any time at the touch of a button. To do this, you must first connect an external storage device via the USB port. It will initialize for a few seconds and then you’re ready to record. We plugged a standard USB thumb drive, hit the record button on the remote, and it worked like magic. After recording, we unplugged the drive and played the files on a desktop PC. The files are saved in MTS format, which is very compact. The videos are saved in the same resolution as the source. 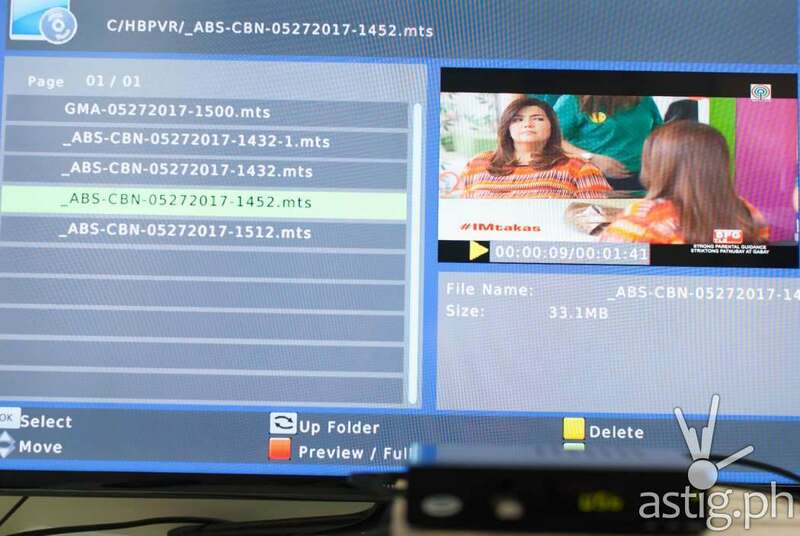 Live TV recordings are saved in MTS format on the WOW! TV Box. 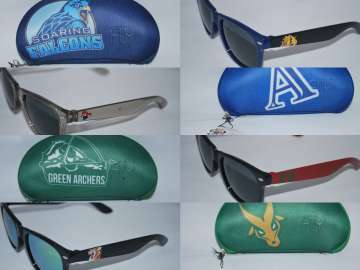 Here are some details from the samples we took for reference. Another one of our favorite features is the ability to pause live broadcasts, called “time shifting”. Ever wanted to take a bathroom break in the middle of your favorite TV show? Now you can! Time shift hooks into the system’s recording capability, so you need to attach an external storage for it to work. When you pause or “time shift” a live show, it will save the broadcast to the attached storage so you can resume watching where you left off. Exiting time shift will take you back to the live broadcast. 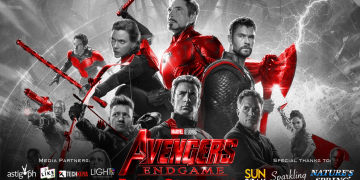 Cool, huh? By now you must be thinking, it’s nice to be able to record shows, but what if there’s nobody around to do it? 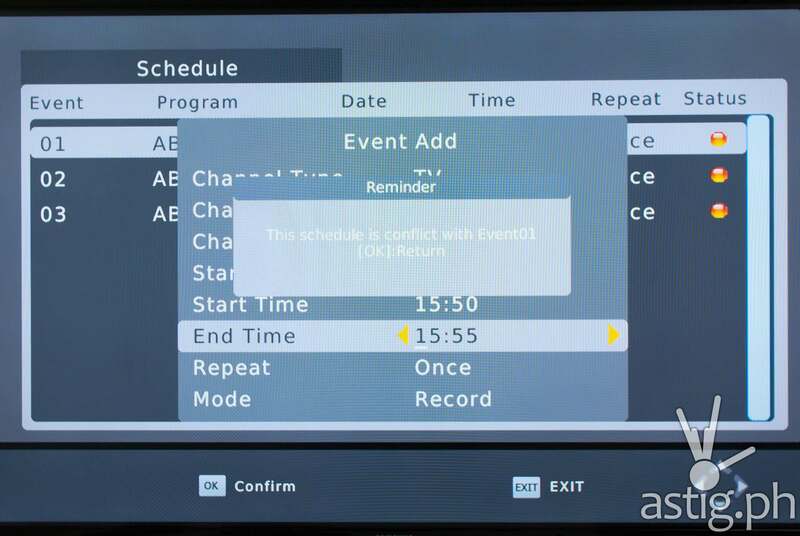 First, you can use Electronic Program Guide (EPG) and select the shows you wish to record. This only works for channels that provide a program listing. Currently, ABS-CBN is the only network that properly implements the EPG. The second way is to schedule recordings manually. For these networks, you can specify the date and time, and the machine will automatically start and end recording as scheduled. Make sure you provide a valid start and end date and time when manually scheduling recordings on the WOW! TV Box. Also, you can only record from one channel at a time. Attempts to record multiple channels at the same time will result in an error message saying that there is a conflict. 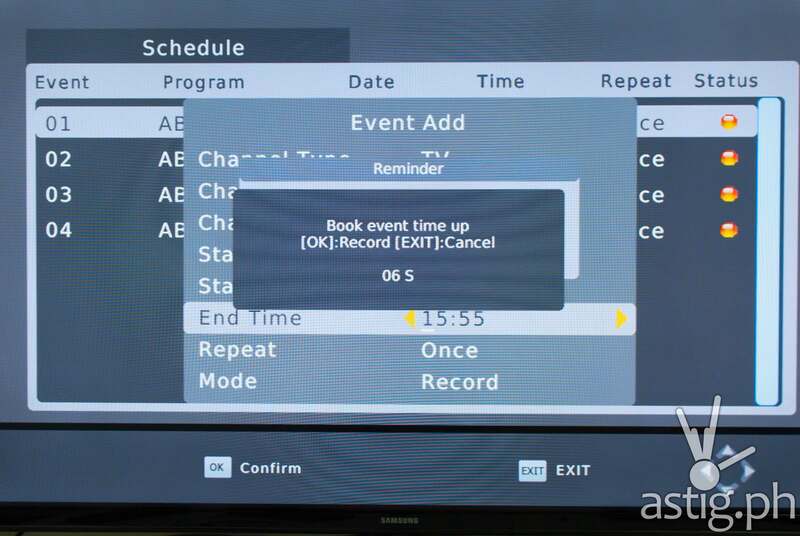 Once you have the schedules set up, you can put the TV Box in sleep mode and turn off your television. The system will automatically start recording on schedule. 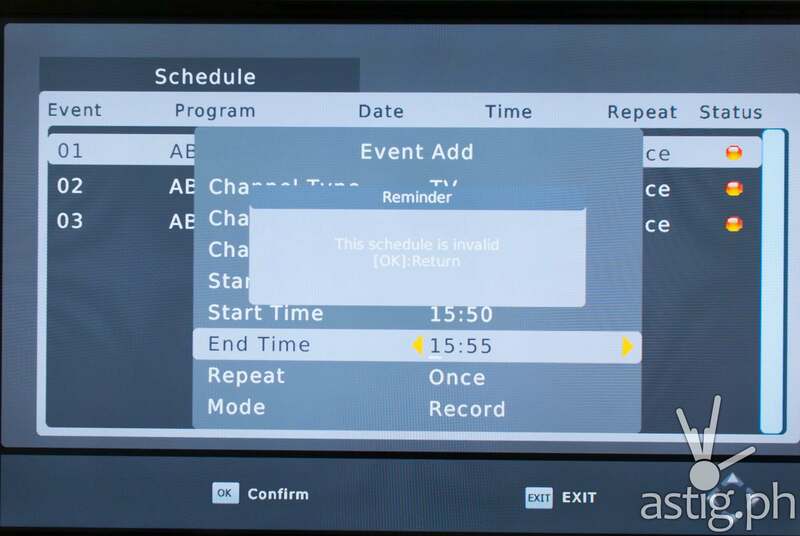 If you happen to be watching something during the scheduled time, a message will pop up informing you of the recording. If you are on a different channel, it will automatically switch over to the channel that it will be recording. You cannot switch channels while recording. Doing so will cancel the recording session. It is versatile, compact, and perfect for car installations. As a media player, it plays most standard audio and video file formats in an easy to use, snappy interface. The true power of the WOW! lies in its recording capabilities, allowing you to record and pause live television, and schedule recordings in advance so you will never miss a show. 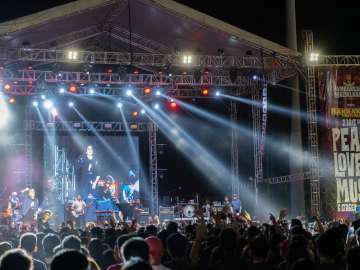 Digitization is transforming entertainment in the Philippines. Set top box technologies like those seen in WOW! 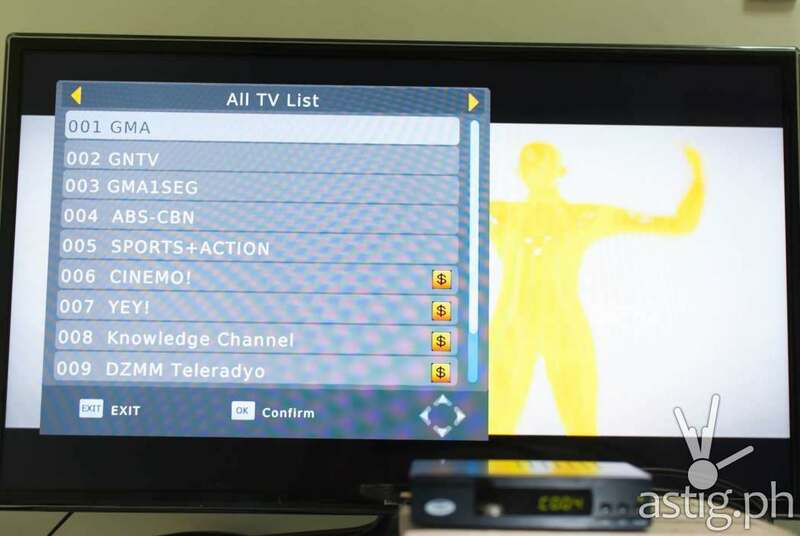 will pave the way towards overhauling the way Filipinos watch local television. 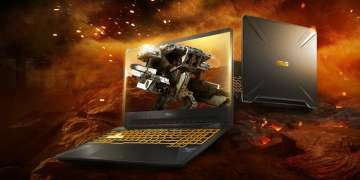 question: pwede kaya to kahit pc monitor lang gamit? It should work if it takes HDMI input.